Please excuse the chip on my thumb and the obvious tip wear. I did this manicure two nights ago and am just now getting a chance to take a photo. Very pretty! I’m curious about the size of the image since the tulip seems to be in different places on each nail; I’ve had a little trouble covering my whole nail at times (although I keep them longer than yours as a rule); I have a bundle monster set from last year. Do the newer sets have larger images? The backgrounds seem about the same size. My nails are pretty small, though. I only have issues covering my thumbnail since it’s larger. 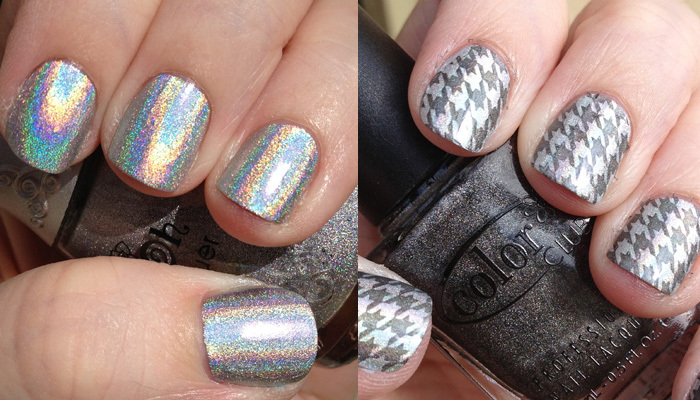 For the smaller nails, I sort of stamped right on the edge of the image and tried to move it around a bit. Love the site. Such creative ideas. Now that you have shown us all how you store your plates, I would love to see your nail polish organization. Love your youtube videos on nails. Love the green and silver combo. So pretty. Thank you for posting all that you do. 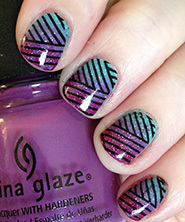 I must be honest with you…I tried Konad stamping several times and had given up. I had followed the directions sent to me in my package and even watched a video. But then I found YOU! Your video showed me tricks that you had discovered and actually really helped me. Now I am on a roll and just ordered three more plates to try out. I do have a question for you, if you do not mind helping a beginner out. I read a lot of the reviews on Amazon before I buy. 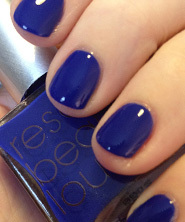 Do you have a specific list of the Konad special polishes that you prefer? 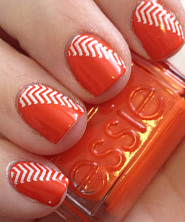 Or a list of stamping polishes that have worked well for you. So far I have white and black but I want more colors, and a lot of the reviews are not positive towards the colors. I would love any help you could give me! 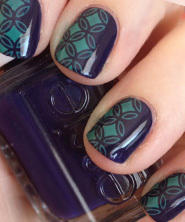 I really don’t use nail polish much but I am in awe of what you’re doing with the nail stamping. Totally had to pin this one. Love your clever watermark too! I love this one ! © 2012-2016 Kristina Werner. All Rights Reserved.